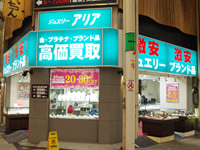 A select shop which has a variety of jewels,such as rings,neckless,bracelets, ear rings with high quality 18 karat gold and platinum. Also lineups of brand products. 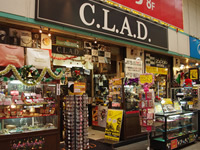 This shop also purchase some jewels or brand products which you don`t use anymore. Estimate is no charged, Feel free to ask. Silver accessories, Zippo(lighter) , C.LA.D has something you are looking for! 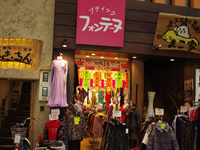 A shop you can find some costumes for the party nights,If you are looking for a costume for team performance, this is the place you should go.